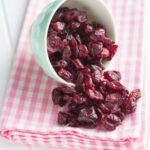 These Sugar Free Low Carb Dried Cranberries are so easy to make and are very low in carbs. A great, healthy option to the store-bought varieties that are loaded with sugar. I love adding dried cranberries to things. 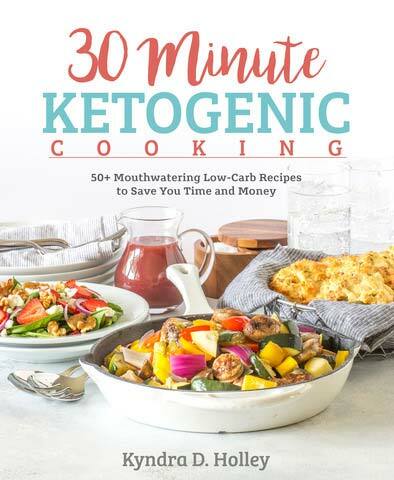 They add the perfect hint of sweetness to salads, and they are amazing in low carb trail mix as well. But what I don’t love is how high in sugar and carbs the store-bought brands are. Did you know that average store-bought brand has 33 grams of carbs and 29 grams of sugar for just 1/4 cup of dried cranberries? No thanks! 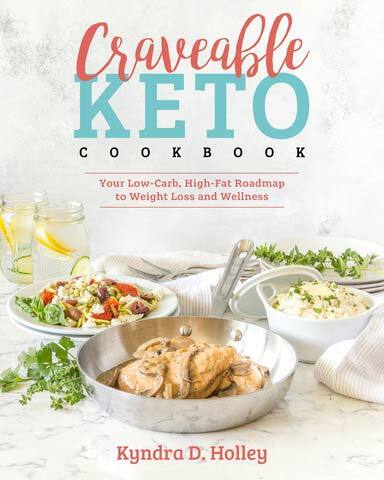 I think I will just make my own sugar free low carb dried cranberries. 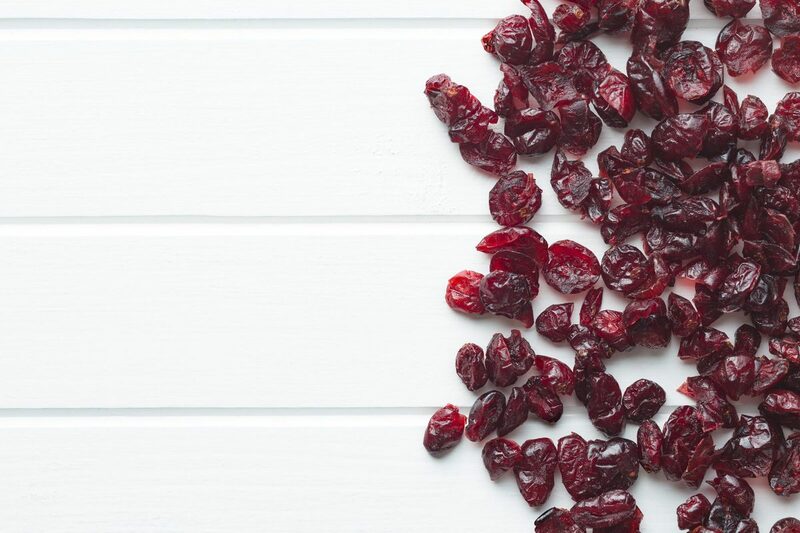 It can be extremely hard to find unsweetened dried cranberries, or sugar free dried cranberries in the stores. 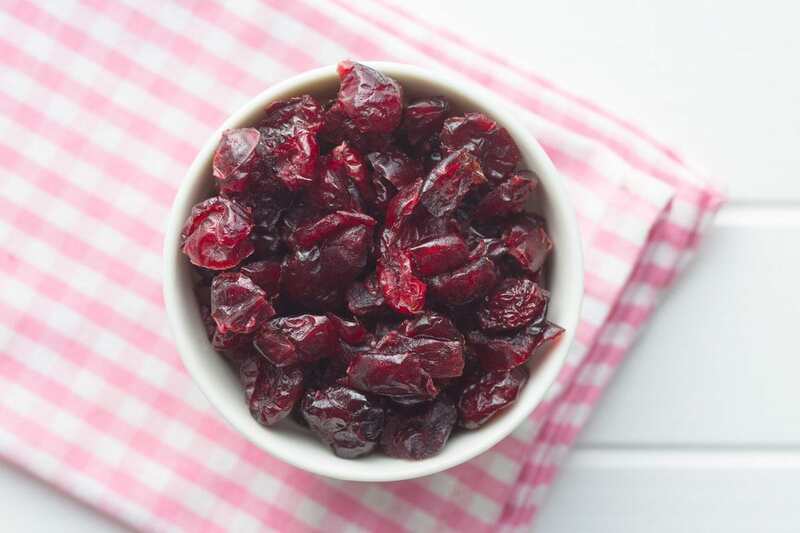 This no sugar added low carb dried cranberry recipe takes care of that problem! 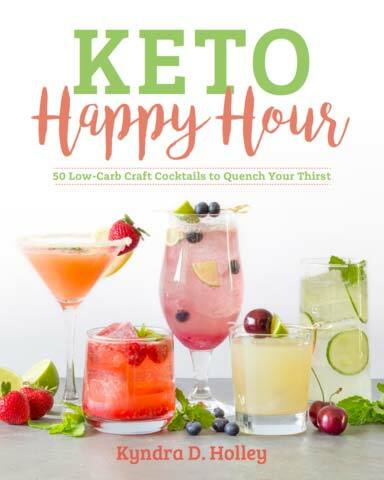 They are super easy to make, and are sweetened with erythritol instead of sugar, making them the perfect low carb treat. I like to keep some of these on hand year round, so I recommend stocking up on fresh cranberries when they are in season, and keeping some in your freezer so you always have them on hand to make these sugar free low carb dried cranberries. So how do you make dried cranberries anyway? 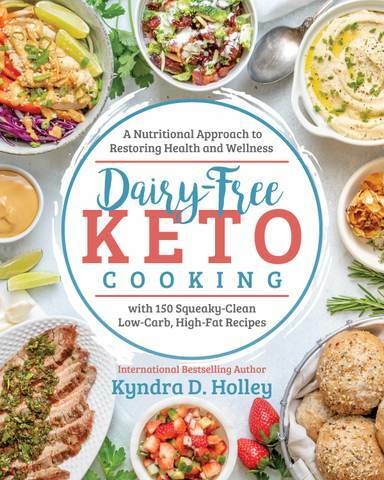 Well, you can do this a couple of different ways – you can use a high-quality food dehydrator, or you can do it right in your oven. For this homemade dried cranberry recipe, I opted to use my oven. It’s a low and slow process, but the end result is worth it. 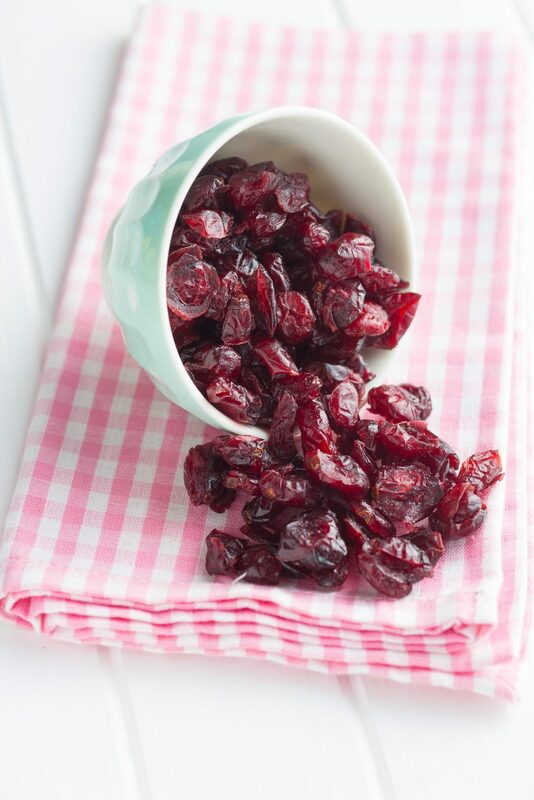 You end up with perfectly chewy, sweet, but still tart, sugar free low carb dried cranberries. Thank you so much for this recipe. I had thought I would never be able to use dried cranberries again. I am so happy to have this favourite item back in my pantry!! These sound great, do you think I could use MCT oil? Seems like it would work with the low heat, I’m just trying to find ways to incorporate it into my diet other than morning coffee, thanks! l can’t wait to try this recipe. I LOVE dried cranberries and I am so excited to be able to eat them again. They are wonderful in orange muffins too. I have a couple questions. If I use the cranberries I have in my freezer right now, I assume they need to be thawed first? Do they still need the same amount of drying time? Also, how long if I were to try the dehydrator? I would like to try both ways, but I am very new to the dehydrating. BTW… I think your recipes are brilliant! I haven’t tried one yet I didn’t like.. I have found a much easier way to do this instead of tediously chopping the berries in half. I just mix the whole berries, sweetener and oil of choice and put them in the oven. After about 15 minutes or so, they become soft enough to splat with the back of a spoon – takes less than one minute to do a whole tray. Then put them back in the oven to finish. An added advantage is that you end up with whole berries, not halves which can dry out and get too crispy. I really want to make these, but the lowest my oven will go is 260. What adjustments would recommend I make regarding the oven temperature and baking time? Thanks. I just bought a small bag of reduced sugar dried cranberries that are 14 grams of sugar per 1/4 cup serving. I will be buying cranberries in a few days and making your recipe, thanks so much. Has anyone tried using frozen cranberries? If that wont work, how long do you think these would last? Fresh cranberries are only around for a few months. I can’t wait to try these! How are they stored? Freezer? Shelf?